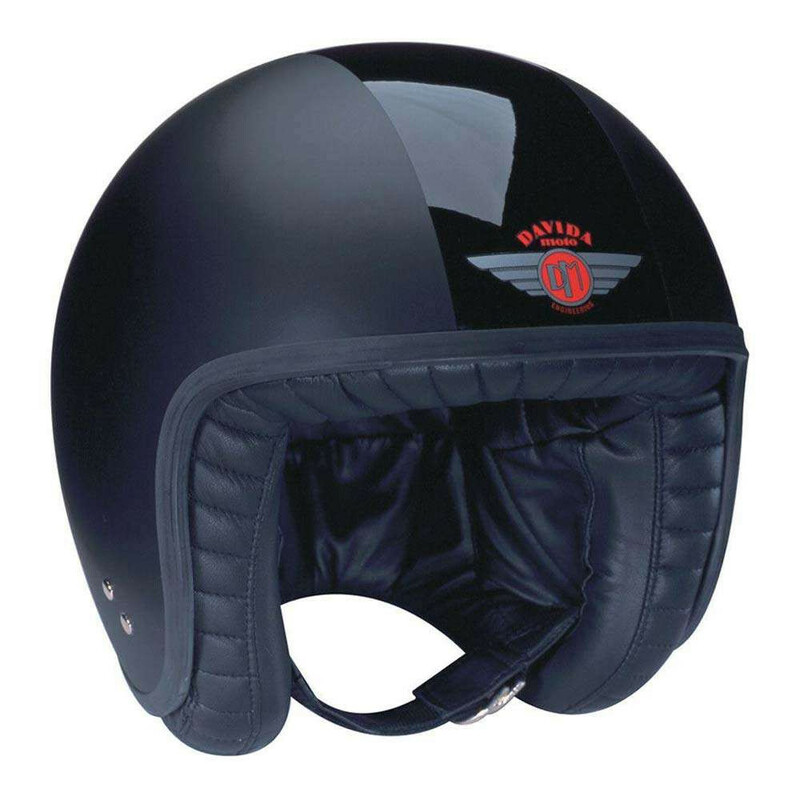 The Davida Jet helmet is a high quality open face motorcycle or scooter helmet. Handmade in the UK, the Davida Jet is manufactured with a unique design process which uses ergonomic technology to produce a helmet with a superior fitting. The shape of the Davida Jet's fibreglass shell has been developed to match as close as possible to the natural contours of the head making the Davida Jet really snug and stable, thus eliminating lift at high speeds and greatly reduced wind noise. This coupled with the luxurious leather and satin lining makes for a beautifully comfortable ride. The Davida Jet is European safety rated ECE R22-05 and is ACU approved for racing in the UK. There are optional stud fasteners (five) for peaks and visors, please select above. There is a small additonal cost if you would prefer just three studs, please contact us for details. Davida helmets are handmade in England and built to order so please expect a two week turnaround time for these helmets. The Davida Jet is available in all the Davida colourways.